NADA Auto Show 2017 is back again this year starting on August 29. 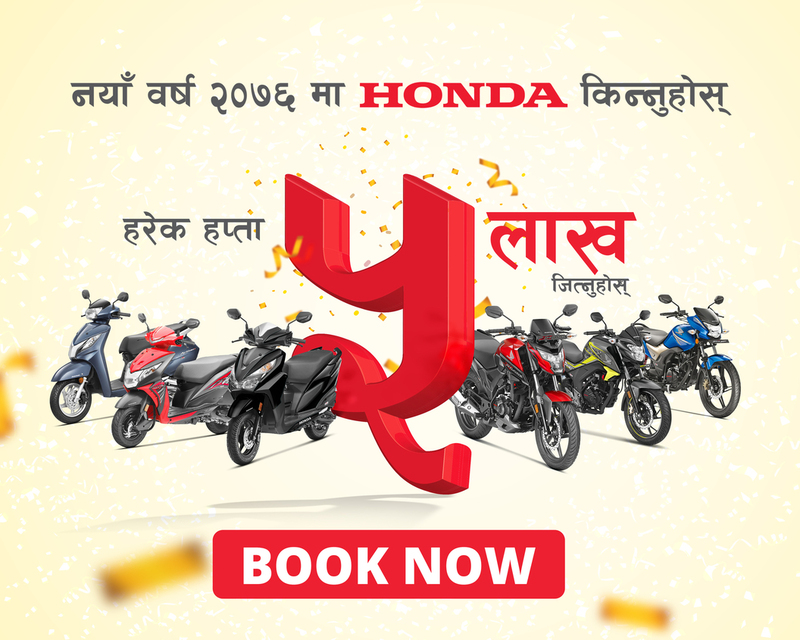 As Nepal’s one and only automobile exhibition, NADA will have introductions to automobiles available around the country with some new launches as well. At this year’s NADA, we have got a set of great models to feature on the set and grab the right amount of attention from the customers. Watch out for Honda Civic – the premium sedan that leaves a lasting impression as you cruise along the streets, Honda BR-V – a car with world class accessories for your journey, Honda CR-V – enforcing the highest standards of safety with its amazing features, Honda City – designed in line with a vision that is ahead of its time and Honda Brio – with striking exteriors and premium interiors. Make sure you visit Honda Stall Number ‘A*4’ at NADA Auto Show from 29th of August and check out the amazing & exciting Honda Four-Wheeler.